LED power supply unit suitable for indoor and outdoor use - waterproof to class IP67, short-circuit, over-load and over-heat protected, featuring constant voltage output to ensure the stability of the LED, reduce power waste and extend LED lifespan. 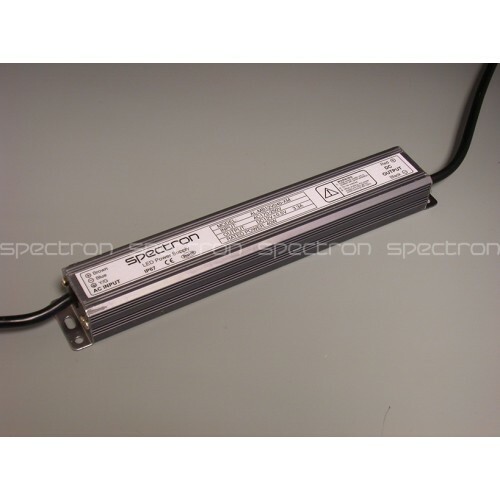 To extended the life of the LED driver, only 80% of the output power should be used. Spectron LED driver has 20% excess built-in, so you can use 100% of our stated output power.